In addition to offering excellent customer service, Magnolia Bridge Self Storage rents Penske moving trucks in Seattle. We have moving trucks in a variety of sizes, which makes transporting your items, be it to one of our storage units or to your new home, a breeze. Don't know where to start? 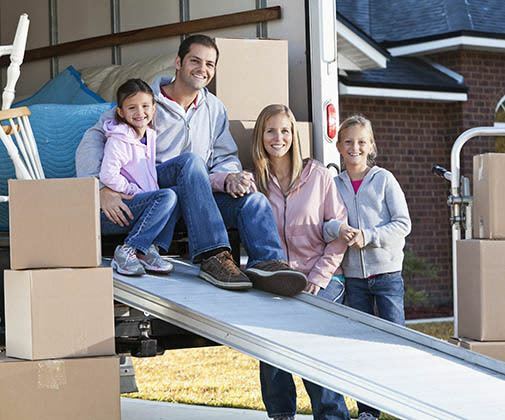 Contact us and a member of our friendly, professional staff will assist you in choosing and renting a moving truck that is perfect for your specific needs. Most Penske moving trucks feature flat floors, which means you won't have to figure out how to pack your items around space-intruding wheel-wells. Additionally, trucks have non-slip wooden floors that help prevent slipping cargo. Translucent roofs and interior lights mean you'll be able to see what you're doing, even after dark. Dual-faced mirrors make for better vision, and anti-lock brakes are included for safer stops. Penske trucks are among the newest fleets in the industry. We're your one stop shop for all of your storage and moving needs. Reserve a Penske moving truck at the same time you rent your Seattle storage unit, and while you're here don't forget the packing and moving supplies we have for sale in the office. Consider renting a storage unit ahead of your move, so you can bring over smaller items and boxes in advance to make the process less stressful. You've rented a moving truck. Now what? Here's some advice from the experts at Magnolia Bridge Self Storage. Get to Know Your Truck - When you pick up your truck we'll help familiarize you with the moving truck. Take some time to adjust mirrors and get comfortable with the truck's switches and gauges. Get Loading Help - Even the strongest of us need to ask for help sometimes and doing so is very admirable. Ask for help with heavy items. Don't lift with your back. When loading and unloading, bend your knees and lift with your legs. Put Heaviest Items in First - While this one might seem like a no-brainer, it's important to mention. Load heaviest items first and closest to the cab of the truck.